A Championship footballer accused of burglary at a nightclub in Portsmouth has had the case against him dropped. Southampton's Bradley Wright-Phillips, 23, was arrested in March over claims that items were taken from Bar Bluu nightclub, Southsea, on 28 February. He had previously pleaded not guilty but the case was discharged at Portsmouth Magistrates' Court. District judge Anne Arnold ruled there was insufficient evidence to put the case before a jury on Tuesday. The striker, who is the son of former England star Ian Wright and younger half-brother of Manchester City's Shaun Wright-Phillips, was charged with the theft of cash totalling £85. He was also accused of taking three mobile phones, a driving licence, two bank cards and other personal effects from a staffroom at the club. The court was shown CCTV footage from the nightclub staff room, which showed Mr Wright-Phillips inside, but his solicitor, Rupert Bowers, successfully argued that it did not show him participating in a crime. 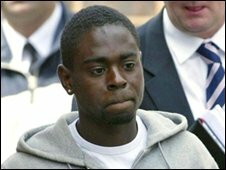 The footage also showed Mr Wright-Phillips' team-mate, Nathan Dyer, in the room. The 20-year-old, of High Street, Southampton, pleaded guilty in July to the same charge. He was sentenced to 60 hours community service and ordered to pay £392.50 in compensation and £65 costs. Mr Bowers, Mr Wright-Phillips' barrister, said: "Mr Wright-Phillips always denied participating in this offence, and is thankful that this has now been established. "He deeply regrets putting himself in a position whereby he came under suspicion. 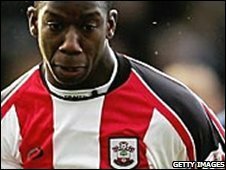 "Mr Wright-Phillips now wishes to put the whole episode behind him and concentrate on playing football for Southampton." Judge Arnold told the court: "I am not satisfied there is sufficient evidence upon which a jury properly directed could convict you. "I am going to discharge you in respect of that charge."